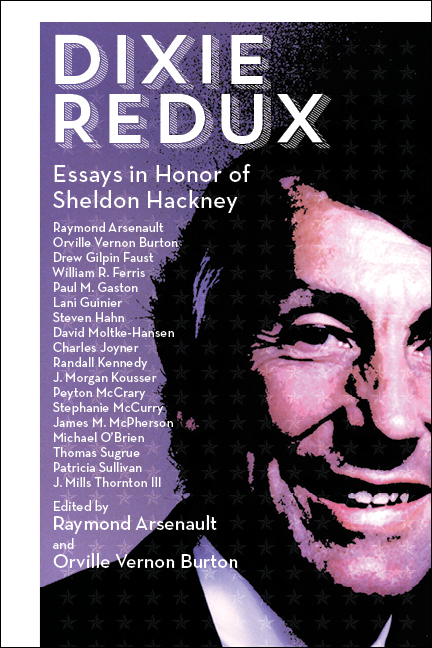 Dixie Redux: Essays in Honor of Sheldon Hackney is a collection of original essays written by some of the nation’s most distinguished historians. Each of the contributors has a personal as well as a professional connection to Sheldon Hackney, a distinguished scholar in his own right who has served as Provost of Princeton University, president of Tulane University and the University of Pennsylvania, and the chairman of the National Endowment for the Humanities. In a variety of roles–teacher, mentor, colleague, administrator, writer, and friend–Sheldon Hackney has been a source of wisdom, empowerment, and wise counsel during more than four decades of historical and educational achievement. His life, both inside and outside the academy, has focused on issues closely related to civil rights, social justice, and the vagaries of race, class, regional culture, and national identity. Each of the essays in this volume touches upon one or more of these important issues–themes that have animated Sheldon Hackney’s scholarly and professional life.